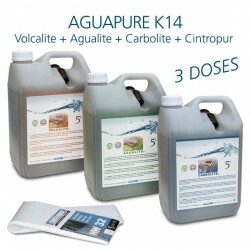 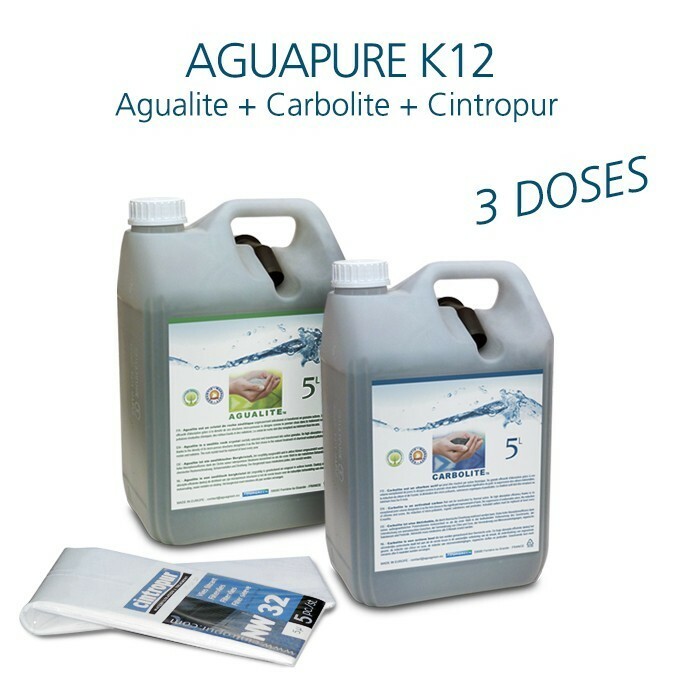 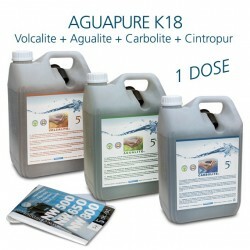 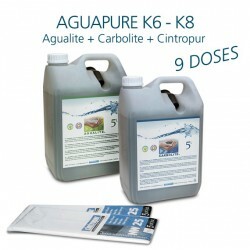 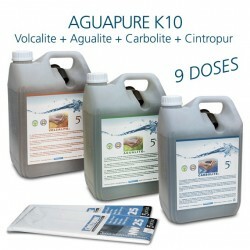 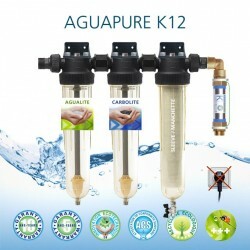 Maintenance kit for water refiner Aguapure K12. 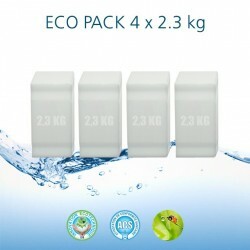 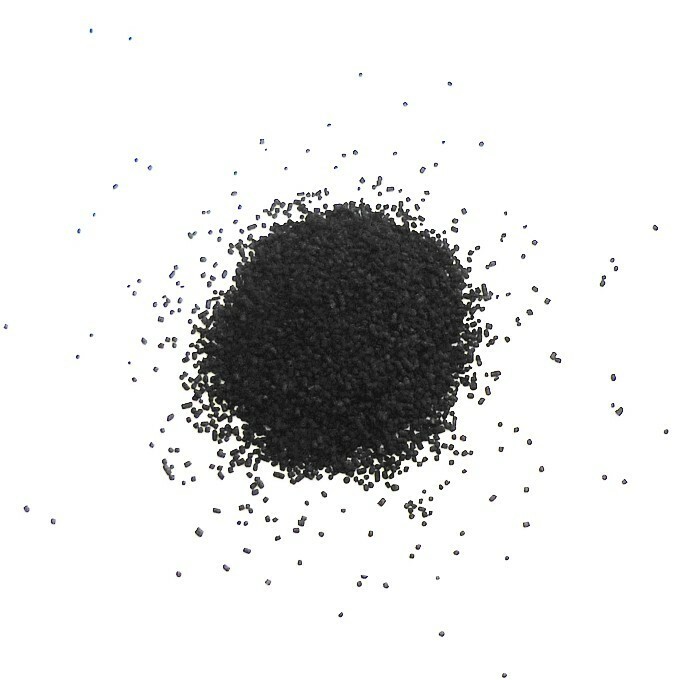 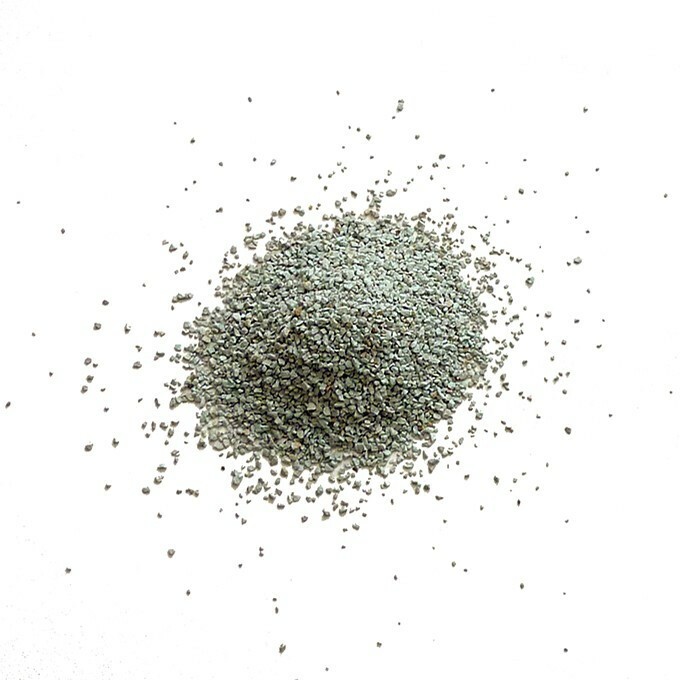 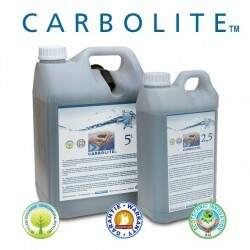 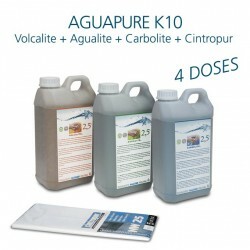 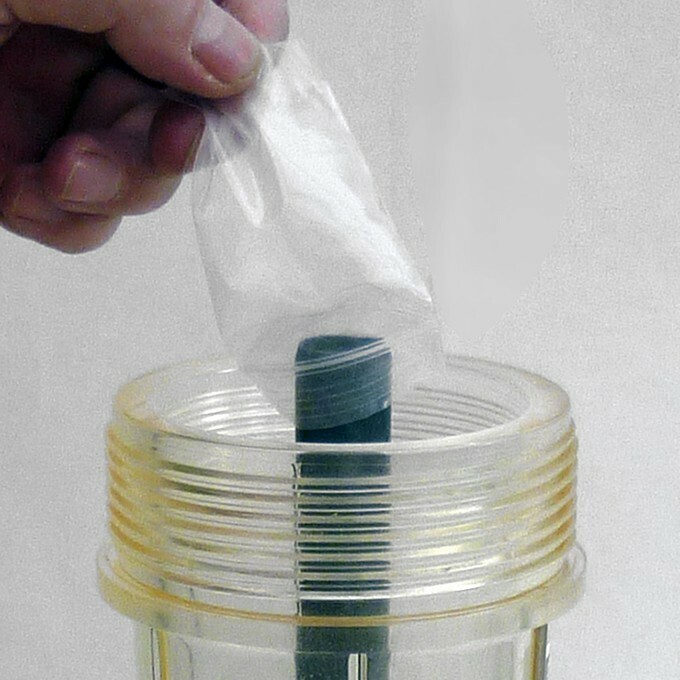 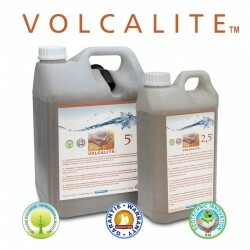 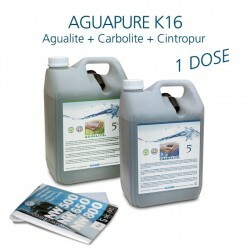 One jerrycan containing 5L of Agualite (rock crystal) 3 doses, 1 jerrycan 5L Carbolite (activated carbon) 3 doses and 5 Cintropur filter sleeves (5 or 25 microns). 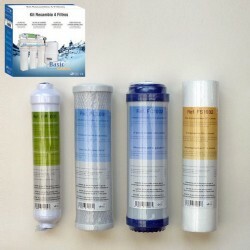 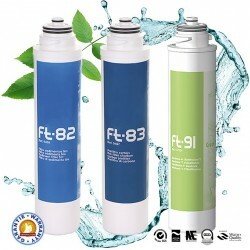 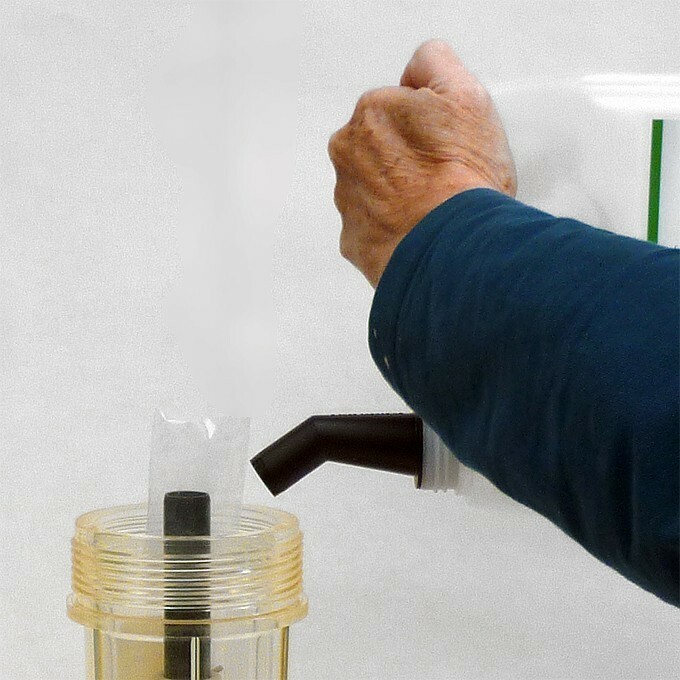 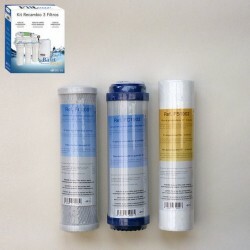 This supplies kit includes 3 years of maintenance for the treatment of water from the public network. 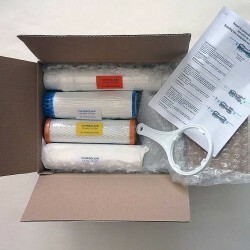 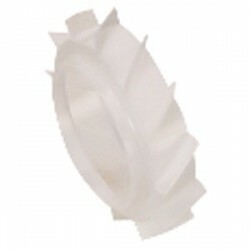 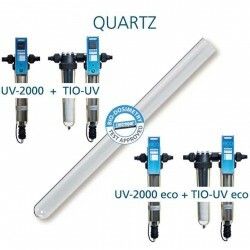 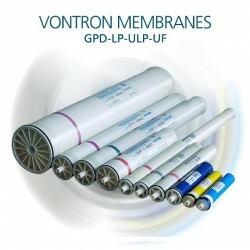 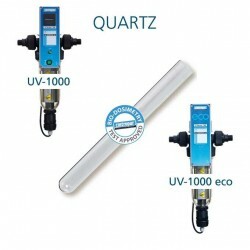 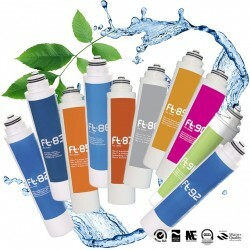 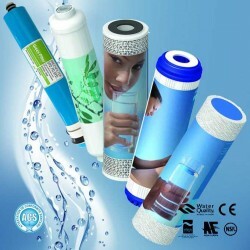 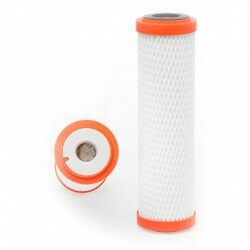 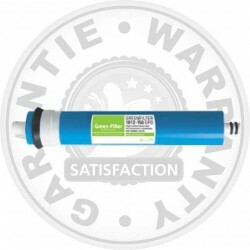 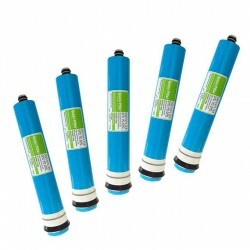 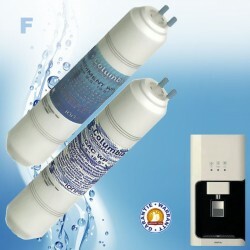 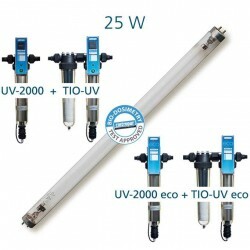 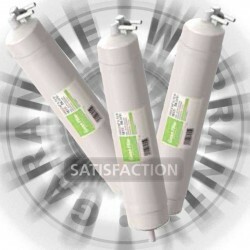 For other types of water, refer to the analysis of water or contact us.